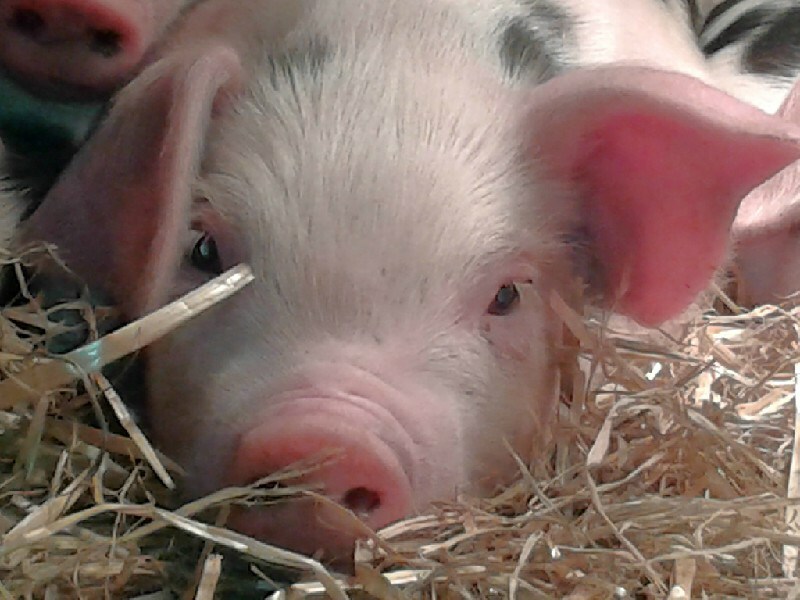 Holly and Hazel are in pig with piglets hopefully due in April. Both pigs are swelling nicely! The swimming pool refurbishment is now all complete with the heater switched on getting ready for Easter which is fast approaching. She is looking lovely. The paint brushes have been out working in some of the cottages. 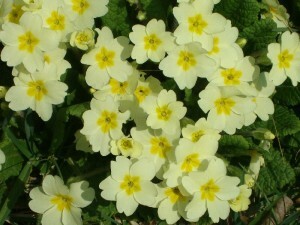 Spring has arrived really early here at Lower Hearson Farm. 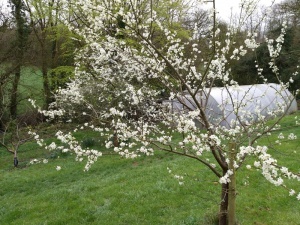 The Damson and plum blossom this year has been outstanding with no frosts to upset it. We have never seen it so amazing before and are hoping for a bumper crop this year. 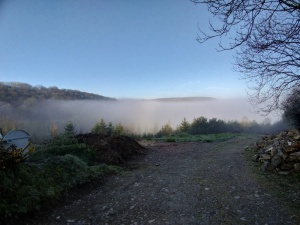 Below is a wonderful picture taken after a short walk towards Bableigh in the early morning with Farley. Couldn’t resist the Codden Hill poking up through the mist.